There are plenty of toys and puzzles that have taken the world by storm over the years. But none of them has had quite the impact that the Rubik’s Cube has had. It was one of the biggest-selling toys of the 1980s and 1990s, and people have spent years trying to unlock its secrets. From such a simple idea, a global phenomenon was born, and the Rubik’s Cube continues to be successful and sell well on an international level. Finding out more about this global phenomenon will help us figure out why it became so popular. And, that means looking at the history of the cube, as well as understanding exactly what it is. The Rubik’s Cube, also known as ‘The Amazing Hungarian Cube’ and ‘Hungarian Magic Cube’ is instantly recognizable, and was one of the defining toys of the 1980s. Let’s look back and find out as much as we can about this basic but hugely popular toy. The Rubik’s Cube was invented in Hungary back in the 1970s. 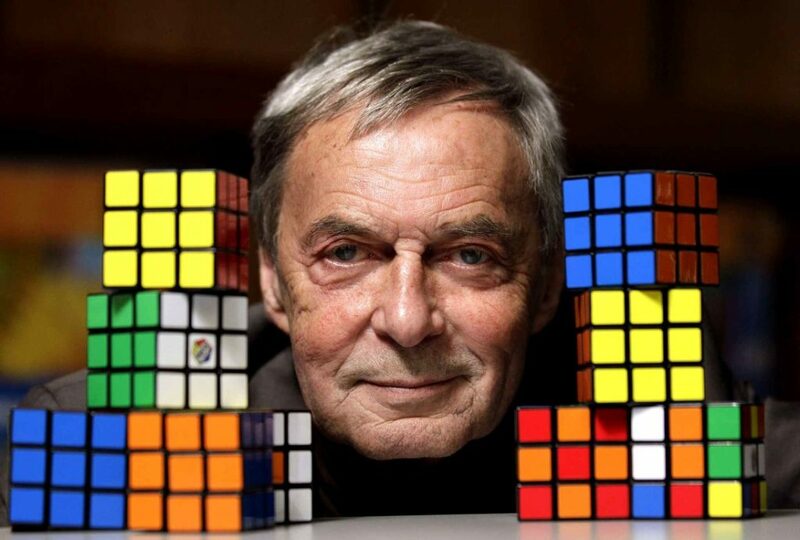 Creator Erno Rubik worked at the Academy of Applied Arts and Crafts in Budapest, and it is thought that he designed the cube as a way of helping teach his students about 3D objects. The original problem Rubik faced was getting the parts to move independently. When he scrambled the cube and tried to restore it again, he realized he’d created a puzzle. After taking out the Hungarian patent, he trademarked the product as a Magic Cube. In 1980, the cube was renamed to the now famous Rubik’s Cube. After its international release in 1980, the Rubik’s Cube became an unexpected success. This kicked off a cube craze for much of the 1980s, as adults and children alike became obsessed with this new puzzle cube. People were spending weeks, months, or even longer trying to solve it. The popularity of the cube was the fact that it was addictive, coupled with the fact that it was healthy for the brain and cognitive abilities. Buoyed by TV and newspaper advertising, the cube’s sales increased, and, by 1983 around 200 million cubes had been sold all across the world. Such was the hunger to learn the secrets of the cube that at one point in 1981, three of the books in the top ten best selling books in the USA were books about how to solve the cube. The art of ‘speedcubing’ first became popular in 1981, and there were even tournaments held where people would compete to solve the cube in the fastest possible timeframe. There were plenty of records set, which have been broken several times. 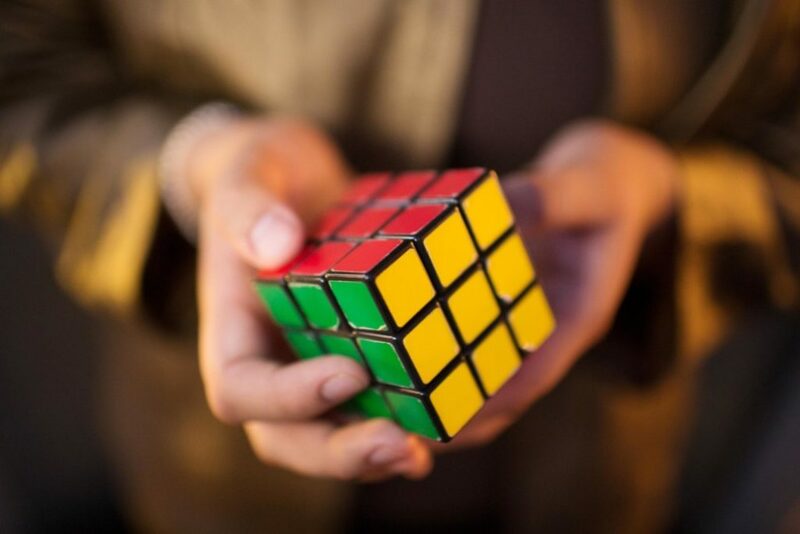 Currently, the world record for solving a Rubik’s Cube belongs to Nathaniel Berg of Sweden, who, in 2015, managed to solve one in 00:03.73 seconds! Speedcubing with Rubik’s Cubes continues to be a popular and prominent part of the cube culture. Interest in the Rubik’s Cube, as with everything, slowly died out, however, the 2000s saw a revival and renewed interest in the toy. Sales in the United States actually doubled between 2001 and 2003, and it became much more of a fashion statement to own one than it had in the past. This also led to renewed interest in speedcubing with Rubik’s Cubes. Indeed, the World Rubik’s Games Championship in 2003 became the first speedcubing tournament for over 20 years. And sales of the cube were thought to have hit around 15 million worldwide in 2008. The Rubik’s Cube is the perfect combination between a toy and a game, as well as being a great way of improving cognitive functions. The game has enjoyed cyclical popularity and continues to be one of the most fun and iconic toys ever released.